Paul Robertson of Aeronautical Testing Services is the engineer Stoddard-Hamilton contracted in 1994 to conduct all the GlaStar developmental flight testing and configuration changes. One of the design objectives was to produce an aircraft that would be significantly enhanced over traditional singles in slow flight control and stall/spin resistance. This is his description of the function of the vortex generators, delta wings, and tail strakes. 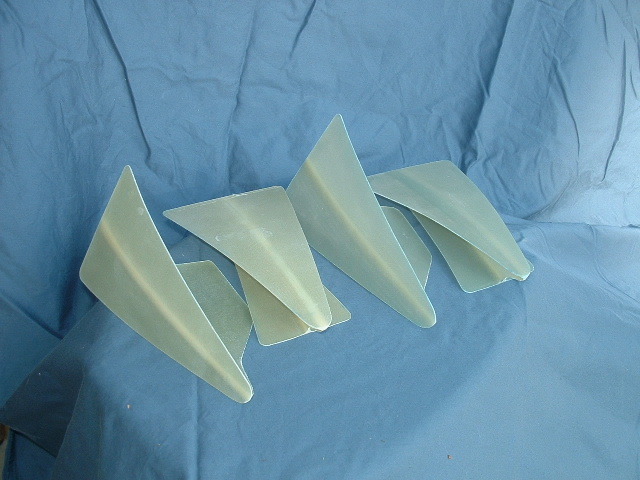 Vortex generators are devices that disturb the airflow over a flying surface. During high angles of attack, the disturbed air has a tendency to “hang on” to the surface rather than smooth undisturbed air flow. The large delta wing style used on the GlaStar and Sportsman produce a wide triangle or delta shaped area of disturbed air behind the device. These keep the outboard portion of the wing from separating. This greatly reduces the tendency to roll off in a stall. They also help to isolate the inboard wing section from the outboard section. The outboard section (with the delta wing) ends up acting more like a low aspect ratio wing which have higher stalling angles of attack. 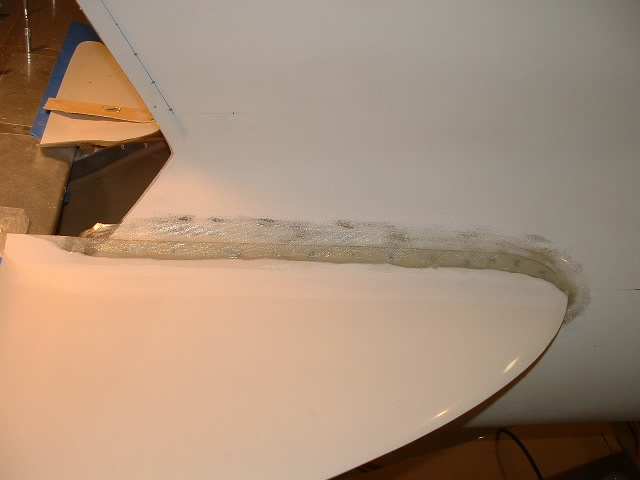 When the airflow on the outboard end of the wing can be made to stay attached, it greatly improves the roll dampening. When a wing is separated the roll dampening becomes negative which causes the wing to autorotate, and if left unattended this can lead to a spin. The inboard delta wings were added to improve rudder effectiveness during flaps-down stalls. Increased rudder effectiveness allows the plane to be controlled when stalled with the flaps down. The condition of interest on the GlaStar was a low power-approach stall. With the improved rudder effectiveness it was possible to control the plane while the stick was full aft during the stall. The test pilot who performed the GlaStar developmental flight tests had extensive experience as a flight instructor both in the US Navy and civilian world. His experience was that some students will keep the stick all the way back during a stall since that is instinctively what you do when the nose drops. So, the inboard delta wings allow the plane to be controllable in a stall even when the pilot inadvertently pulls farther back rather than releasing back-pressure. The tail strakes were added to increase the angle of attack at which the tail stalls. The horizontal tail only provides pitch stability if the tail lift is in some way proportional to angle of attack. If the tail stalls, the change in tail lift with airplane angle of attack is greatly reduced or changes sign. Horizontal tails are very prone to stalling due to the highly non-uniform flow conditions at the tail, and due to the rather thick boundary layer at the intersection of the horizontal tail with the fuselage. Conversely, increasing the horizontal tail aspect ratio increases the tendency for the tail to stall and also increases the loss of tail lift when the tail does stall.